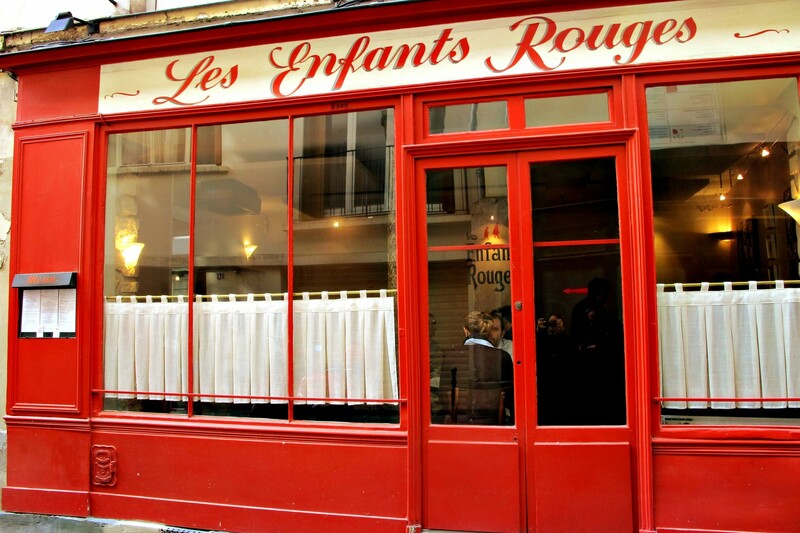 Next to the oldest market in Paris “Marché des enfants rouges” (The red children market), the restaurant “Les enfants rouges” ! 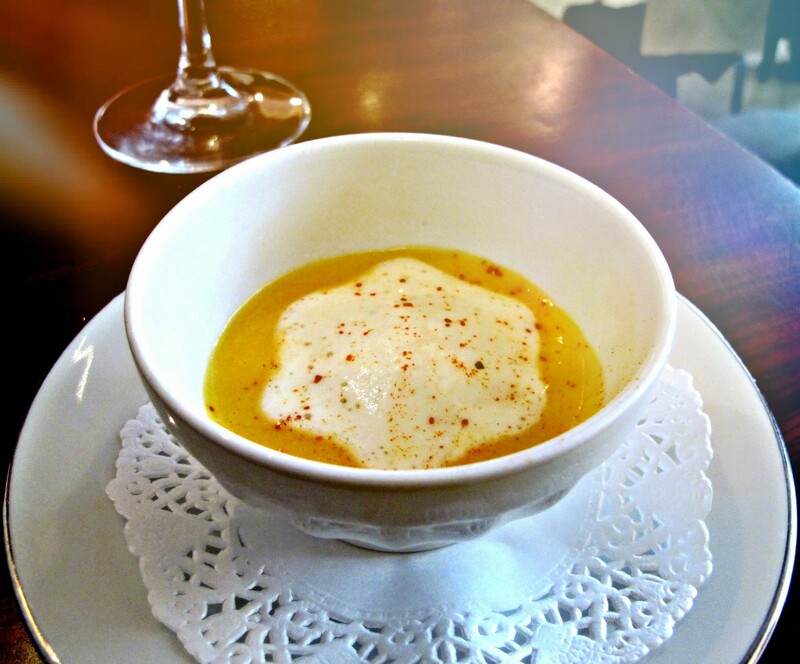 Cream of pumpkin soup and smoked bacon. Velouté de potiron et lard fumé. This amuse-bouches is a delight. It’s tasty, creamy but with a light constancy. Minestrone soup with seasonal vegetables, pistou and Japanese pearls. Minestrone aux légumes du moment, pistou et perle du Japon. 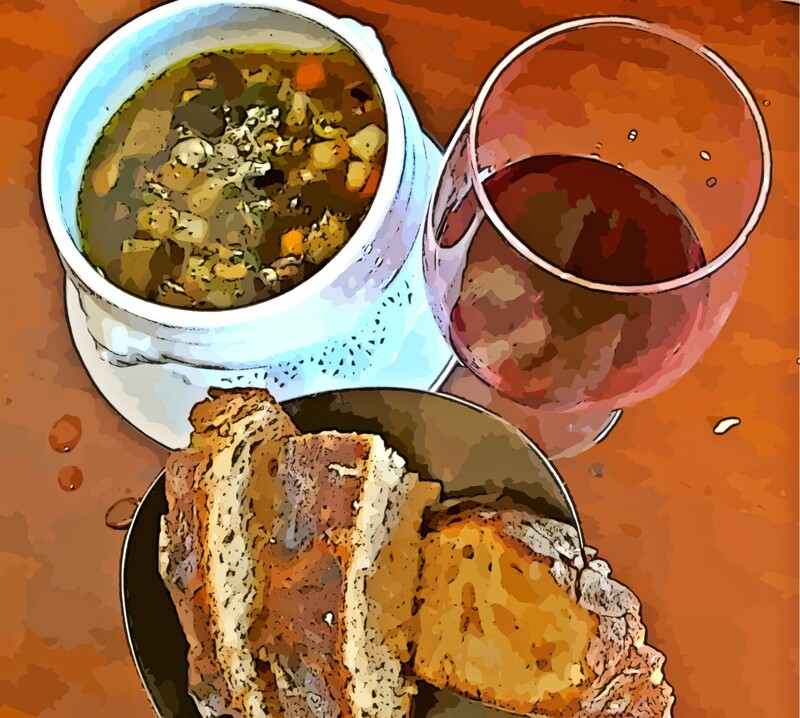 The minestrone soup was classical and tasty. The Japanese pearls or tapioca pearls adds originality. Poitrine de veau braisé et rôtie, champignons de Paris crus et cuits. 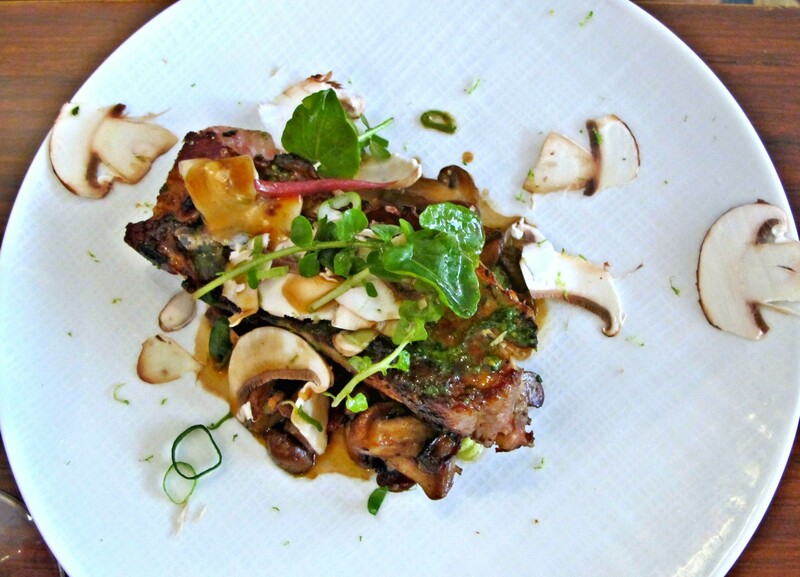 Braised and roasted veal breast, raw and cooked “Paris mushroom”. A traditional french recipe perfectly cooked. An excellent dish. Rouleau de tête de veau à la ravigote, coques et endives. 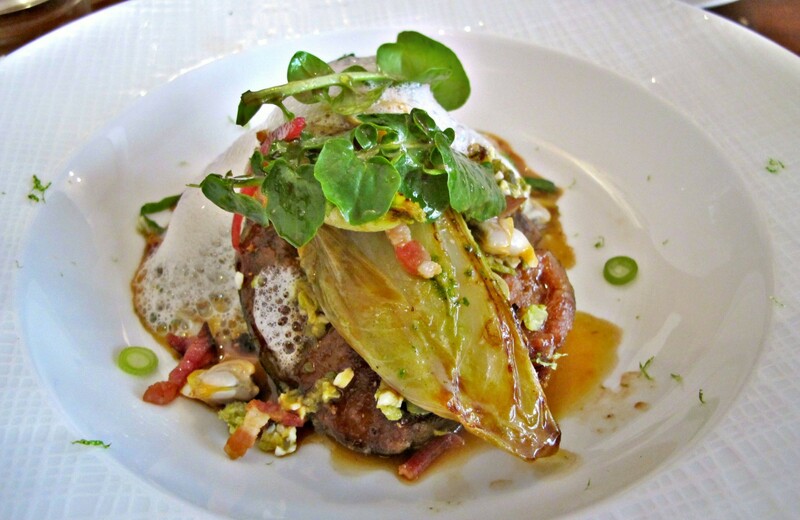 Rolled veal head, ravigote sauce, clams and endive. The “raw” aspect of the dish is balanced by clams and the nice foam. The service by his wife is good and caring but the place is a bit noisy. As it is a wine bar, I had a big expectation about the wine. It was rather disappointing. It can seem quite expensive for a lunch (as there is no lunch menus) but for the area it is common. I would advice to go for the diner.